It's been a big weekend for Destiny 2. The game's first new Raid since its 2017 launch went public to Guardians last Friday, and promised to be the most challenging and rewarding one for those willing to give it a shot. And give it a shot they did. It lasted for a total of 18 hours and 48 minutes of consecutive playtime, but the fireteam known as Clan Redeem were the first to beat The Last Wish, defeating final boss Riven in the early hours of Saturday morning, pacific time. The loot, as you can imagine, was bountiful, and you can watch the moment Clan Redeem finish up the Raid here, if you don't mind spoilers for how it ends. Let's be honest: most of us are never going to make it this far in anyway, so you might as well give it a quick look. But Bungie wasn't finished with its Guardians just yet. 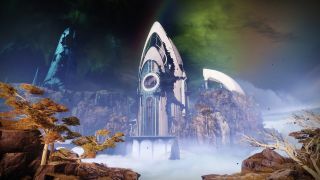 Upon the completion of the Raid, the studio posted out a cryptic message on its Twitter account, alongside an image showing The Dreaming City (Destiny 2: Forsaken's new endgame zone) looking very different to how it was before Clan Redeem had entered The Last Wish. It seems that whatever went down in the Raid has had a ripple effect on the world around it, as confirmed by the new cutscene that plays when Guardians now enter The Dreaming City. And the changes aren't just cosmetic, either. A new Strike, The Corrupted, can now be accessed by Forsaken players, alongside a new story mission from Petra, a new map for PvP mode Gambit, plus a fifth tier for The Blind Well public event in The Dreaming City, called Heroic Mode. Guardians have even discovered another Destiny-esque secret that needs solving, after strange emblems have been appearing across the galaxy in the wake of the Raid's completion. This all bodes well for the future of Destiny 2, with plenty for Guardians to still dig their boots into nearly two weeks after Forsaken released. Three cheers for Bungie.